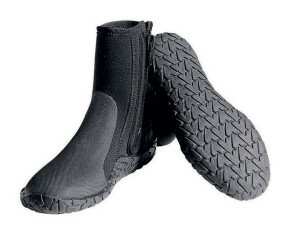 An easy-to-wear zippered boot in 5 mm thickness, for temperate and cold water diving. Zipper and inner gusset for easy on and off. Toe and heel caps and fin retainer.